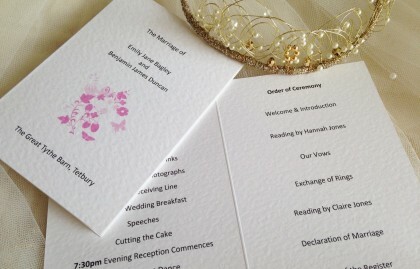 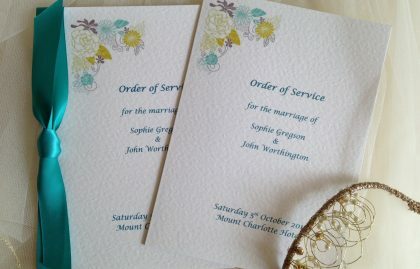 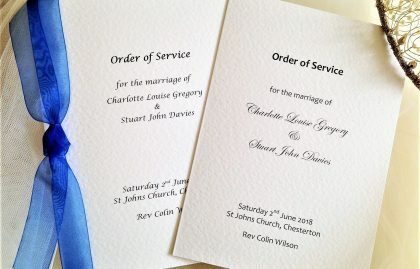 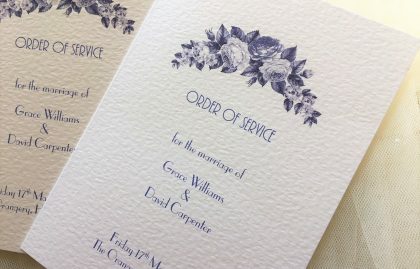 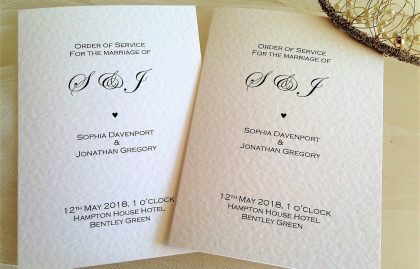 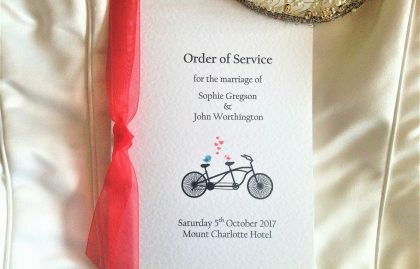 Our smaller order of service books are perfect for civil ceremonies in hotel, barns or similar venues. 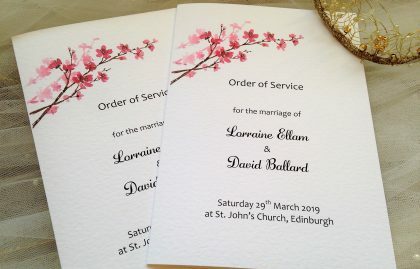 As the service is shorter than a religious ceremony we can detail the running order of the day and timings on the left hand side and then the ceremony details, music, readings etc. 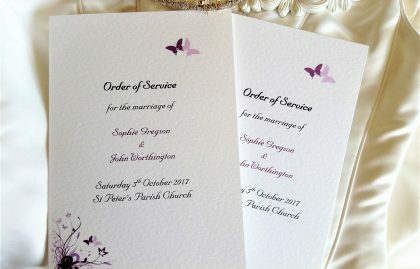 on the right hand side of the booklet. 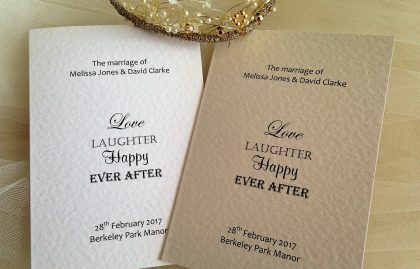 These books can be printed with any wording of your choice. 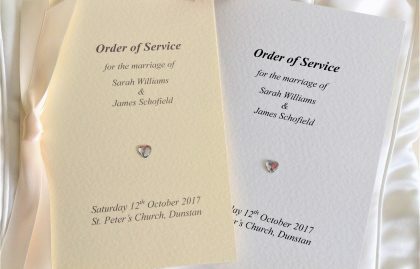 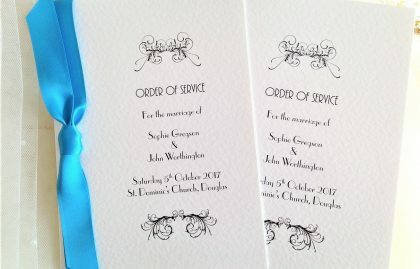 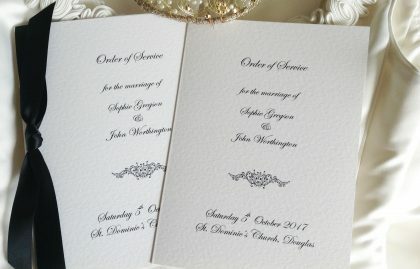 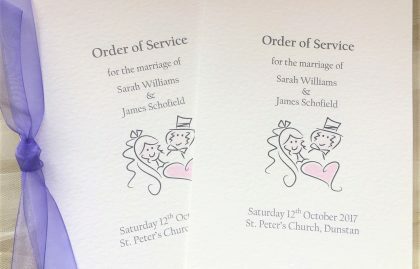 Our small order of service books are A6 (A5 when opened). 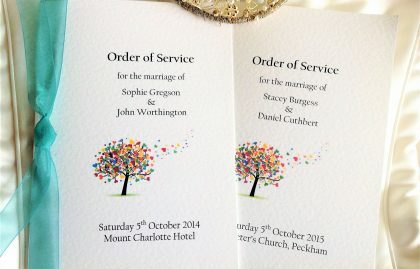 Please note our smaller A6 books are not available with paper inserts. 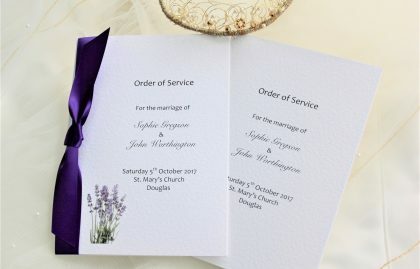 We can supply larger A5 books with paper inserts (4 page, 8 page or 12 page).